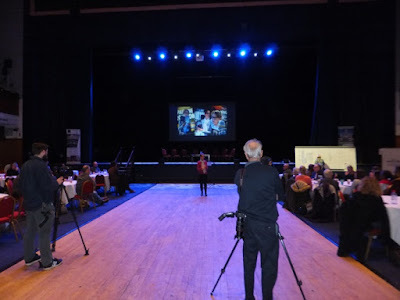 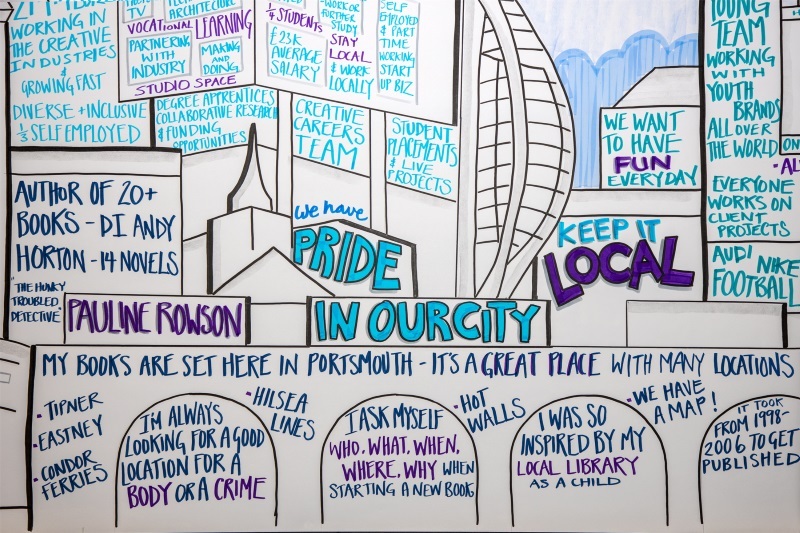 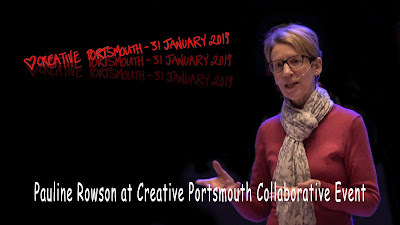 I was delighted to be a keynote speaker at the Creative Portsmouth Collaborative event on 31 January 2019, which turned out to be a very interesting and successful event bringing together talented individuals from the world of art, literature, photography, film, design and more from all over the city of Portsmouth. 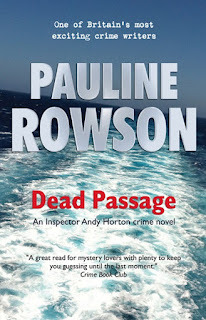 I was there to talk about my crime novels set in Portsmouth and the surrounding area featuring the rugged and flawed DI Andy Horton, what inspires me to create the varied and multi-layered plots and also what inspired me to become an author. 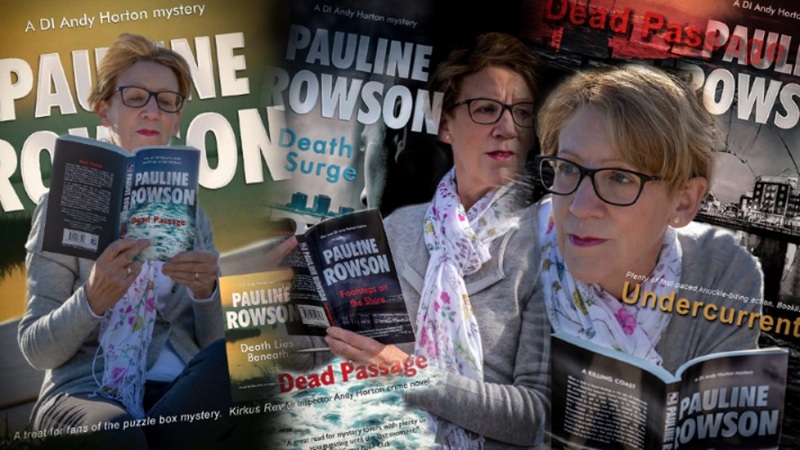 The latter was the discovery of a small local library in my home town of Portsmouth - the Alderman Lacy Library - at the age of eight which gave me a life long passion for reading and for writing. 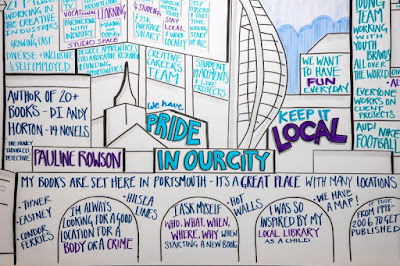 The event was introduced by Cllr Steve Pitt, Cabinet Member for Culture Leisure and Sport at Portsmouth City Council and was facilitated by Benjamin Clabon who introduced the keynote speakers: myself, James Sharp, Director/ Film Maker at Sharp Film; Professor Trevor Keeble, Dean of Creative and Cultural Industries at Portsmouth University, and Mark Graeme of ilovedust. 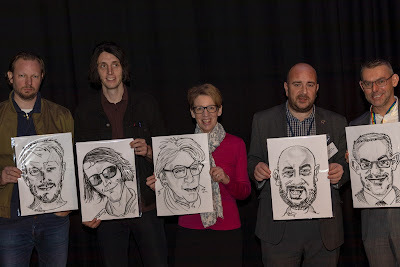 Caricatures were drawn by Steve Acheson and presented to the speakers at the end of the event. From left to right: Mark Graham, James Sharp, Pauline Rowson, Councillor Steve Pitt and Professor Trevor Keeble.